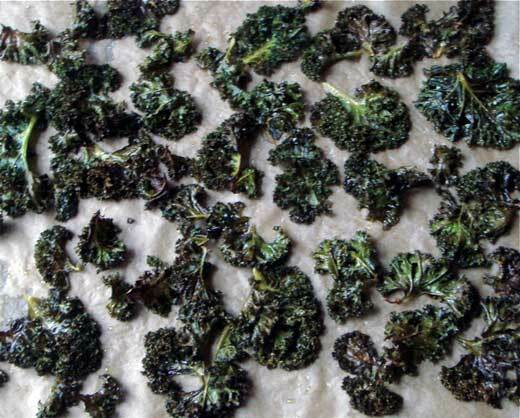 Green Vegan Living: Kale Chips. 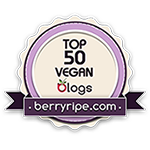 Vegan, Gluten-free, Paleo. Kale Chips. Vegan, Gluten-free, Paleo. I ate all the kale chips I made from the following recipe before I had time to take a picture of them. They were that good. I hope you'll accept the photo I "borrowed" from the internet, instead. Here's the website from which I got the inspiration. In a large bowl, sprinkle kale with olive oil and salt and toss. Place onto dehydrator sheets and dehydrate for about 1 hour. Check after a half hour to make sure the little pieces aren't too crisp. Enjoy immediately or store for later (if you can wait! ).